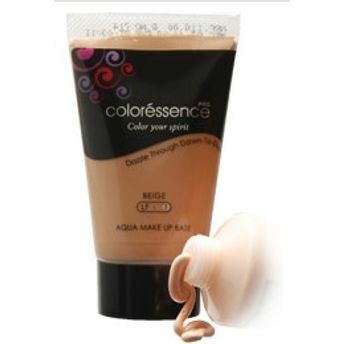 Coloressence Aqua Makeup Base Foundation on India's online beauty store Nykaa & get discounts and COD. Banish your imperfections and look fabulous forever! Coloressence Aqua Makeup Base helps you to kill those skin impurities to get the natural glow you deserve. It contains active ingredient Vitamin E Acetate which gives you splendid skin care. Your skin starts to heal, skin aging is also slows down with the use of this makeup base. Enriched with Punarnava extract it helps you to maintain healthy skin. It generates complete coverage as it blends with your skin. You don?t need to apply other sunscreen as it includes SPF 20. Available in four vibrant shades get even out skin tone with photo finish look. Additional Information : Coloressence is a well- known make-up and beauty brand in India. It is part of Nature?s Essence brand which provides women trendy and affordable beauty products. Get matte finish look with Coloressence Aqua Makeup Base. Explore the entire range of Foundation available on Nykaa. Shop more Coloressence products here.You can browse through the complete world of Coloressence Foundation .Alternatively, you can also find many more products from the Coloressence Aqua Makeup Base range.